DAVID LE/Staff photo. 5/20/15. 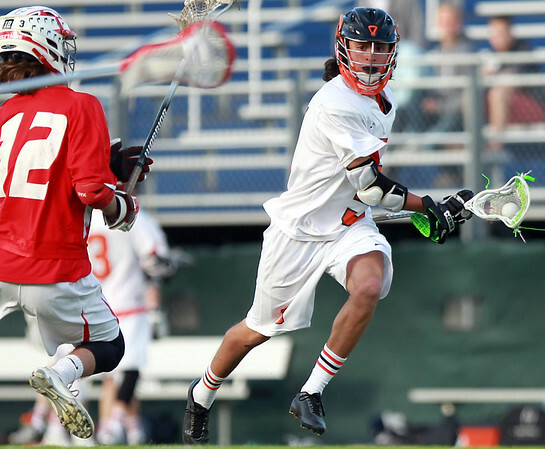 Beverly sophomore midfielder Sam Abate (5) makes a quick cut back towards the net to shake Masco junior Nick Pease (12).